From the misogynistic comment left by the president of The Recording Academy, to Ariana Grande pulling a ‘thank u, next’ on the ceremony, it has certainly been quite a controversial build-up to the 61st Annual Grammy Awards. Though there might have been some pre-conceived notion about how this year’s award show was going to be like, the Grammys still managed to impress in their efforts to present an all-inclusive night with a diverse group of performers, presenters and winners. For those who missed out on the glitzy action, here are five groundbreaking moments that are sure to go down in Grammys history. On top of being an extravagant stage production with colourful sets and dozens of dancers that celebrate the eclectic Hispanic culture, the opening performance featuring Camila Cabello, J Balvin and Ricky Martin also saw a subtle anti-political message in the form of a newspaper prop that read, ‘Build Bridges Not Walls’. In the current racially divided climate of America where tensions are at a high over the demand for a border wall, it’s heartwarming to see artistes advocate for the moral good of society. Since the rise of the ‘Me Too’ movement, there has been an increase in females advocating for one another in attempt to stamp out the unfair patriarchal system. In hopes of spreading a positive message for women, Grammys host Alicia Keys made an empowering move in her opening monologue as she was joined on stage by strong female role models – Lady Gaga, Jennifer Lopez, Jada Pinkett Smith, and former First Lady of the United States, Michelle Obama – to share their thoughts on how music has helped to develop their true selves. That very moment was significant in creating a way to acknowledge the freedom of expression, as well as a woman’s ability to celebrate who she truly is no matter what others think or say. In addition to already being one of the hottest boy band in the industry, the septet also made history as the first group of Korean celebrities to be invited to the Grammy Awards as presenters. Not only were the boys representing their country in custom suits by Korean designers, they were also there as reps for international musicians with a dream. Who knows, they might just return to the Grammys in the future for yet another groundbreaking moment as nominees and performers! It’s not too often that you see someone make a poignant speech that resonates with society today. While accepting the award for Best Pop/Duo Group Performance for herself and her A Star Is Born co-star Bradley Cooper, Lady Gaga took the opportunity to address mental health and the seemingly pervasive grip it has on talents within the music industry. Since the loss of many talented musicians in recent years, her speech couldn’t have come at a more fitting time. Though she hadn’t been on stage for long, her words were enough to leave us a reminder that if we see somebody that’s hurting, we should not look away. Having gained a massive following since her stint on Love & Hip Hop: New York in 2015, the no-nonsense Bronx native has now evolved from a reality TV star into a bonafide rap sensation. Despite being in a predominantly male category where no solo female rapper has ever won Best Rap Album since Lauryn Hill’s win in 1996, Cardi B has truly proven that she’s a force to be reckoned with. The ‘Money’ songstress made history as she picked up the coveted accolade for her debut album Invasion of Privacy, earning her a well-deserved seat among hip-hop’s greatest. 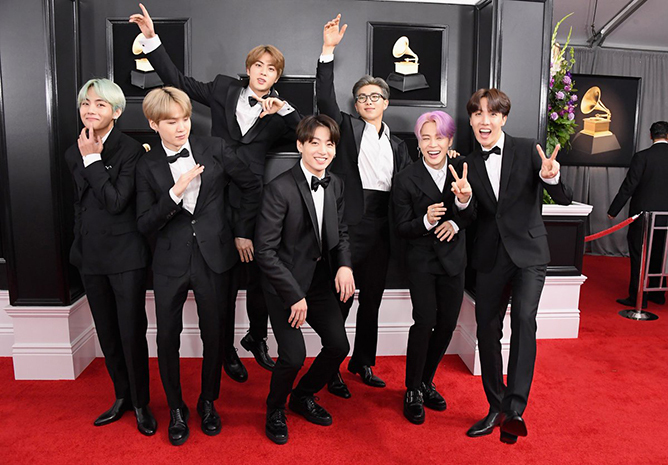 What was your favourite moment of 2019 Grammys? Tell us in the comments below! Everybody’s talking about SKY Castle – and by everybody, we mean everybody from your grandmother to your next-door neighbour who just can’t get enough of the hit series. Touted as the highest-rated Korean drama in cable television history, the record-breaking JTBC show has successfully dethroned several fan-favourites including Reply 1988, Goblin and even the recent Memories of the Alhambra. So what exactly is the hubbub all about? For the uninitiated, SKY Castle chronicles the lives of four elite households living in the luxurious estate that is Sky Castle in suburban Seoul – where their children’s academic success means more than anything else. In a world that constantly puts pressure on one’s grades, it’s a breath of fresh air to see a plotline that discusses the harsh realities of Korea’s cutthroat educational system. Even though the drama has already ended, it left us with plenty of notable life lessons and memorable words of wisdom that we will never forget. From Han Seo Jin’s snarky quips to Woo Joo’s heart-fluttering antics, here are some of SKY Castle’s smoothest one-liners that all students can use in everyday life. How many of these quotes do you relate to? Let us know if you’ve watched SKY Castle in the comments below! 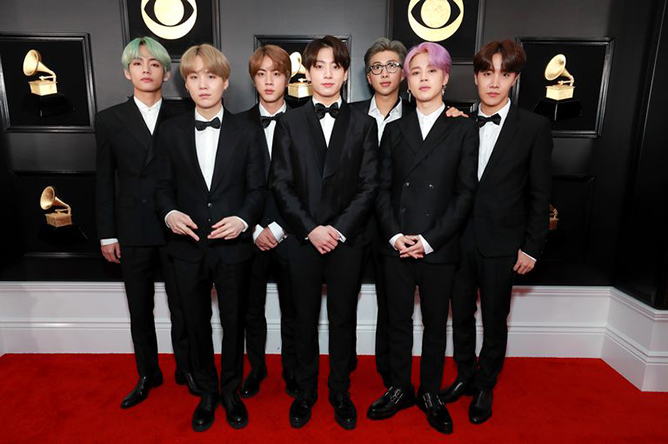 When news broke out that BTS would be making their Grammys debut, we couldn’t help but wonder what the K-pop icons would be wearing on the legendary red carpet. Decked out in crisp black tuxedos, their surprisingly modest fashion choice might raise a few eyebrows at the start – but there’s an even deeper message behind it. Prior to their appearance for the 61st Annual Grammy Awards, the boys of BTS met up with A-list designer Kim Jones in Los Angeles, which led to speculations that the seven-member group would be collaborating with Dior for the red carpet. And with their penchant for rocking bold ensembles from the likes of Gucci and Saint Laurent, ARMYs were pretty much convinced that they would be clad in big-name luxury brands. But what fans didn’t expect was all the members showing up in matching black tuxedos – the classic, All-American silhouette that nobody can go wrong with. At first look, one might think that they were trying to play it safe with the traditional combo, especially at a large-scale awards ceremony like the Grammys; but it was later revealed that the band has enlisted two South Korean designers to craft their red carpet get-up. Jin, RM, Suga, Jimin, V and Jungkook were dressed in customised suits by JaeBaek Couture, while J-Hope wore a contemporary piece from Kim Seo Ryong’s menswear label. While most stars would usually opt for established designers and renowned fashion houses, BTS did the unthinkable by showing off their Korean pride on an international platform. And may we remind you of the fact that “every designer is lining up to dress them”, as said by the red carpet hosts themselves. Well aware of the impact that they have in helping to shaping the entertainment industry, they effectively made use of their influence to shine the spotlight on lesser-known domestic names – and we couldn’t be more proud. Even though they didn’t bag an award, it’s safe to say that BTS has rightfully won the Grammys. It’s safe to say the past year has been a tough one for Ariana Grande, but that’s not stopping the pop diva from putting out banger after banger. Just six months after the arrival of Sweetener, the ponytailed hit-maker delivered her fifth studio album thank u, next, a 12-track record chockfull of lyrical realness that dropped days before Valentine’s Day. In an unconventional celebration of love, Ari weaves in lyrical elements of empowerment and self-love as she learns to cope with heartbreak – all while finding ownership of herself and her artistry in the most captivating way yet. Here are our favourite lyrics from Ariana Grande’s thank u, next album. Ariana Grande’s thank u, next album is now available for streaming and purchase here. It is no secret that the recipe to success for most Korean dramas is often the star-studded cast and fairytale-esque storyline that help viewers envision the perfect romance. Told with characters that usually meet in unlikely but predictable situations, these plots somehow always end up similar to one another – where the main couple has to jump hurdles such as difference in social status, family disapproval or jealous exes, to secure their happy ending. However, in recent years, these small-screen treats have started to push the envelope in creating content that doesn’t just satisfy the average K-aficionado; but also help to modify the stereotype that has stuck with the genre. Instead of the usual dosage of romance, show writers are demonstrating a willingness to mix up their plots through tackling various existent issues that continue to plague society today, but are hardly talked about. From tackling tough societal issues to the deep-rooted stigma of mental illness, our beloved guilty pleasure has steadily evolved to become something more than just sheer scripted entertainment. To give you a better understanding of how this emerging trend has revolutionised the drama-verse for the better, we’ve compiled a list of six K-dramas that are challenging the conventional and spearheading change – one episode at a time. Having mysophobia (a fear of germs) can often make a person’s life difficult, even more so when it’s paired with an obsessive compulsive disorder. This can lead to one getting stuck in a cycle of extreme anxiety stemming from irrational thoughts of contamination, amongst other complications. Despite suffering from this double whammy, Jang Sun Kyul (Yoon Kyun Sang) views his traits positively and turns his unintentional quirks into a strength which he uses to start his own cleaning company. Despite being conscientious with all aspects of his life, he undoubtedly catches feelings for the ostensibly unhygienic new female recruit of his cleaning crew (Kim Yoo Jung), which pushes him out of his comfort zone in an attempt to be normal. Described as a light-hearted romantic comedy, Clean With Passion For Now delves deep into the personal struggles of how Sun Kyul deals with OCD while giving us an insight of how he grapples with society and his family’s perception of his condition. Though the community may be more tolerant and accepting today, the older generation is still rather resistant in accepting the diagnosis as they regard this as something you can get over with sheer willpower. Nevertheless, it is inspiring to see how Sun Kyul uses his hidden afflictions to motivate himself to overcome his difficulties. 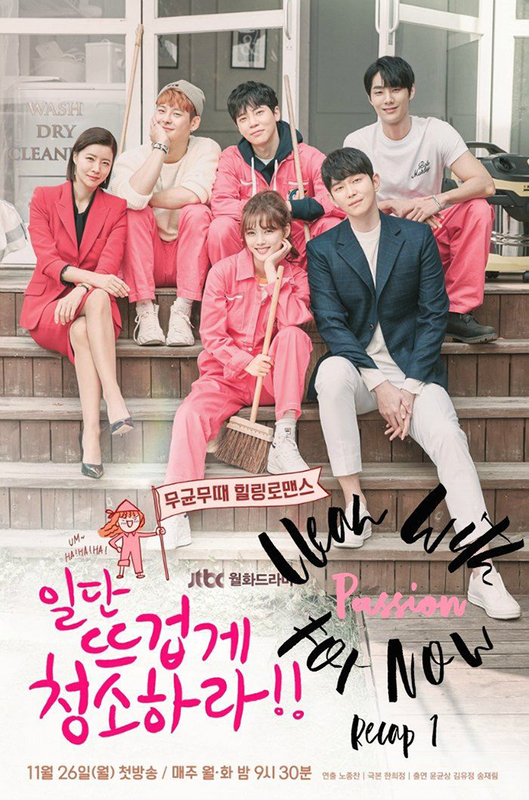 Clean With Passion For Now is available on Viu and Viki. What do you get when you put two successful and strong personalities under one roof? A complicated love story between a best-selling mystery author (Jo In Sung) and an ambitious psychiatrist (Gong Hyo Jin) – one that is riddled with issues arising from their own mental health issues. As probably one of few Korean dramas that feature main characters plagued with mental illnesses, It’s Okay, That’s Love doesn’t shy away from exploring how they cope with their symptoms and the effects their conditions have on their daily lives. From the often destructive Schizophrenia to the incurable Tourette’s Syndrome, this melodrama attempts to shatter society’s perceptions of mental illness as a whole by shedding a positive light on individuals who suffer from such invisible conditions. Striving to create an open conversation with its imperfect characters, viewers are given a better understanding of this seemingly taboo subject that should encourage discussion and acceptance, instead of isolation and ignorance. It’s Okay, That’s Love is available on Netflix and Viu. They often say beauty is in the eye of the beholder. But when you live in a society that already has a preconceived definition of what beauty is, it’s difficult not to find ways to conform to those standards. Due to her previously unattractive appearance, Kang Mi Rae (Im Soo Hyang) decides to get plastic surgery in order to escape being bullied in college. However, her new look causes her to be labelled as a ‘Gangnam Beauty’ – a derogatory term for someone who has undergone a number of plastic surgeries to look pretty. Little does she know that a person’s outlook isn’t all that matters, especially when it concerns her former high school classmate played by the dashing Cha Eun Woo. Although My ID Is Gangnam Beauty does come across as one of those common romantic dramas, the plot deals largely with the brutal reality of Korea’s unrealistic beauty standards and its undeniable relation to plastic surgery. Though seen as a rather touchy subject, it is something that women still receive judgement for despite having to act on the idea out of societal pressures. Aside from wanting to alter her outlook for the better, the drama also touches on insecurities that Mi Rae possesses which is the driving force behind her actions. Her longtime struggle with being bullied unfortunately ruined her self-esteem, inadvertently forcing her to believe in society’s standard of a good-looking person. In spite of the changes in Mi Rae’s physical appearance, it’s heartening to see that it conveys a positive message in self-acceptance as the key takeaway. My ID Is Gangnam Beauty is available on Netflix, Viu and Viki. If you thought the Singaporean education system was the toughest out there, think again. Crowned as the current reigning Korean drama with a record-breaking viewership in cable network history, SKY Castle revolves around four elite families that live in a luxurious residential estate, and the lengths these parents go to in order to secure a bright future for their children. Steering away from the typical romantic vein of K-dramas, this gripping series resonates with today’s society where academic performance is pivotal in defining the path an individual takes in life. Playing on the acronym of South Korea’s top three prestigious universities – Seoul National University, Korea University and Yonsei University – SKY Castle aims to give an unflinchingly honest look at the pressures of its cutthroat education system. Aside from casting a spotlight on the topic of education, it also makes an attempt to remind parents on the importance of loving a child for who they are, and not their accomplishments. Their goal is to emphasise the role that parents play in their children’s lives as pillars of support, rather then objects of anxiety amidst the high-pressured scholastic environment – and judging from its skyrocketing viewership, SKY Castle has achieved just that. SKY Castle is available on Viu and Viki. As its name suggests, Strong Woman Do Bong Soon tells the story of a seemingly petite girl named Do Bong Soon (Park Bo Young) who is born with hereditary superhuman strength that is only passed down to the women in her family. Despite the amazing gift she’s been given, she finds her ability a burden and often tries to hide it. But when a series of kidnapping cases threaten the safety of her neighbourhood, she is determined to use her strength for good and catch the culprit before it’s too late. In spite of the comedic moments, it also subtly discusses the overarching social issue that Bong Soon and almost every woman struggles with in this day and age. In a world where a patriarchal society has already identified how we should act and behave, it is easy to undermine the incredible strengths and abilities of a female when they don’t conform to the established mould of society. In Bong Soon’s case, her innate superhuman strength leads her to believe that this is an unattractive trait to have, and that she should keep it hidden in order to win the affection of her longtime crush Ahn Min Hyuk (Park Hyung Sik). Unbeknownst to her, Bong Soon’s unconventional characteristics were what attracted Min Hyuk to her in the first place. His non-judgemental fascination and unwavering love for her demonstrates why we shouldn’t let society dictate the way we view others. Instead, we should empower one another to embrace our one-of-a-kind qualities – because that’s what makes us extraordinary. Strong Woman Do Bong Soon is available on Netflix, Viu and Viki. How would you feel if you had to live with a different appearance for a week out of every month? That’s what happens to Han Se Gye (Seo Hyun Jin), a popular actress who appears to live a mysterious life but actually suffers from this unusual phenomenon. 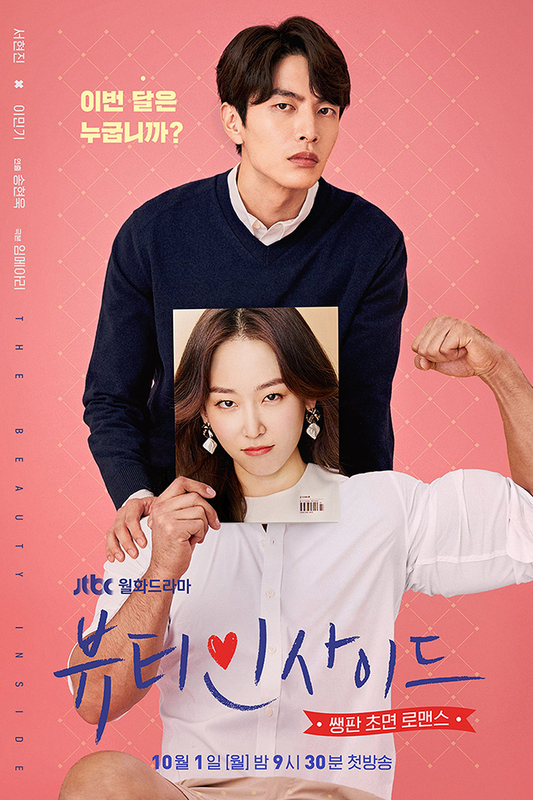 Through a chance meeting, she meets Seo Do Jae (Lee Min Ki), who may look perfect in every way but is plagued with prosopagnosia, which renders him unable to recognise faces. On the surface, The Beauty Inside looks very much a drama that’s filled with romantic fluff – but what makes it different from others is the addition of two flawed leads who struggle with their unusual disabilities. While the most common outcome for similar characters is to overcome their problems, the plot focuses on the theme of acceptance. In creating characters with such unique imperfections, it challenges viewers to see through the eyes of these two individuals who don’t have the luxury to judge by appearance. At the same time, it creates an opportunity for us to reflect on reserving personal judgements based off of looks, which is what the world really needs to develop a more kind and accepting society. The Beauty Inside is available on Viu and Viki.